Tired after all that Leeds Trinity shopping? Hungry shoppers, you’re in luck! We have a crêpe house in the Trinity Leeds Centre, 1st floor. Open since 2013, you can see our neon heart sign in the window from the street below! 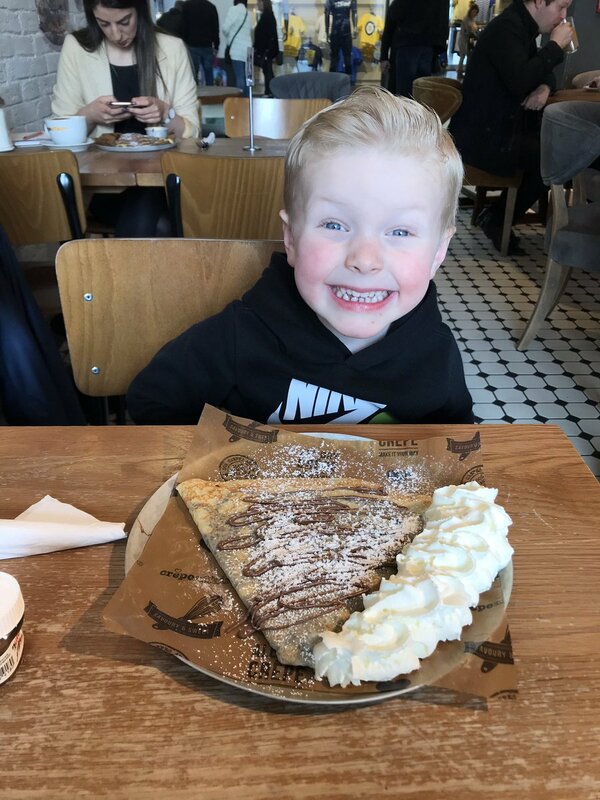 Pop in and say hello to our Crêpe Masters. Not out and about? Let us deliver you freshly made Nutella crêpes via Deliveroo or Uber Eats.